1. The Cappuccino Congestion Index. Media reports regularly regurgitate the largely phony claims about how traffic congestion costs travelers untold billions of dollars in wasted time. To illustrate how misleading these fictitious numbers are, we’ve used the same methodology and actual data to compute the value of time lost standing in line waiting to get coffee from your local barista. 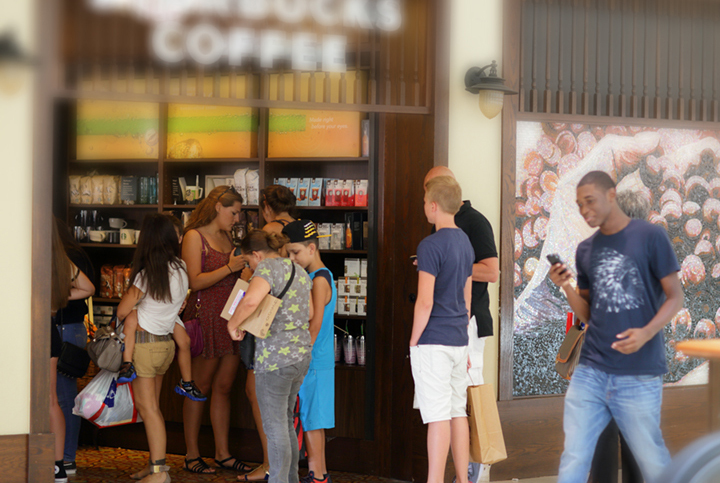 Just like roadways, your coffee shop is subject to peak demand, and when everyone else wants their caffeine fix at the same time, you can expect to queue up for yours. Just as Starbucks and its local competitors don’t find it economical to expand their retail footprint and hire enough staff so that wait times go to zero (your coffee would be too expensive or their business would be unprofitable) it makes no sense to try to build enough roads so that there’s no delay. Ponder that the next time you’re waiting for your doppio macchiato. 1. Integration now, Integration forever. We don’t often point to the musings of New York Times columnist David Brooks, but this week, he grabbed our attention with a compelling argument for a new national commitment to promoting residential integration. It’s a term, Brooks, notes that’s fallen from fashion, but deserves new attention. If we’re going to kick-start another push toward racial integration — which is more or less a moral necessity — maybe the place to start is in the neighborhoods. As the work of the Stanford economist Raj Chetty has emphasized, poverty is very place-oriented. It is the granular conditions of each specific neighborhood that influence whether the residents have a high or low chance of rising and succeeding. A renewed integration agenda would mean building public housing in low poverty areas, eliminating exclusionary zoning laws, and yes, accepting gentrification (a recent U.C.L.A. study finds that gentrification is increasing diversity in District of Columbia public schools). When new housing is blocked in places where people want to live, like in Ward 3, home buyers and renters will look elsewhere, and they have. We should acknowledge that the walls of privilege around places like Cleveland Park contribute to displacement elsewhere in the city. A growing city that protects wealthy enclaves and forces growth to other parts of the city is inequitable. . . . code words like stability, conservation, neighborhood character, when used in defense of the privileged, should be scrutinized that they are not just smokescreens for inequity. 3. New York blows a chance to lead on congestion pricing. New York, which seemed to finally be on the verge of adopting congestion pricing, decided instead that a poorly thought out tax increase on for-hire vehicles was actually the idea whose time had come. Taxis, Uber and Lyft vehicles will pay a surcharge on trips in lower Manhattan, with proceeds to go to transit, but other privately owned vehicles (whether moving or just tying up some of the world’s most valuable real estate) will not. As ZipCar founder Robin Chase observed, this has wide implications not just for New York, but for the rest of the country. Congestion pricing was supposed to be “an idea whose time has come” for New York City. But in a budget deal announced on Friday in Albany, state leaders not only punted on the policy but also may have undermined its viability in New York and across the country for a generation. The surcharge is structured in such a way that its unlikely to blunt the increasing number of ride-hailed vehicles that are slowing car traffic, and crippling the efficiency and ridership of the bus system. Look for things to get worse before they get better in New York. The healthiness of walkable urban neighborhoods. There are a lot of studies that have looked at the connection between urbanity, walkability, green space and health outcomes. It’s a bit much to digest, but Kaid Benfield has a nice survey of the recent literature at Placemakers. Some key findings: Density is associated with lower body fat and less obesity. Likewise, people who live in more walkable neighborhoods tend to have lower rates of mortality. But its not all rosy: those living in urban environments are at greater risk for asthma than rural residents. There’s also some interesting findings about the importance of urban green space. A study from London shows that walking in public parks produces measurably better health than walking the same distance on heavily trafficked streets. Other studies look at the role of noise on health. This is a readable and wide-ranging survey of the recent scientific work. The Asheville Citizen-Times published an Earth Day Op-Ed citing City Observatory’s “Less in Common” research on the decline in social trust and civic interaction.